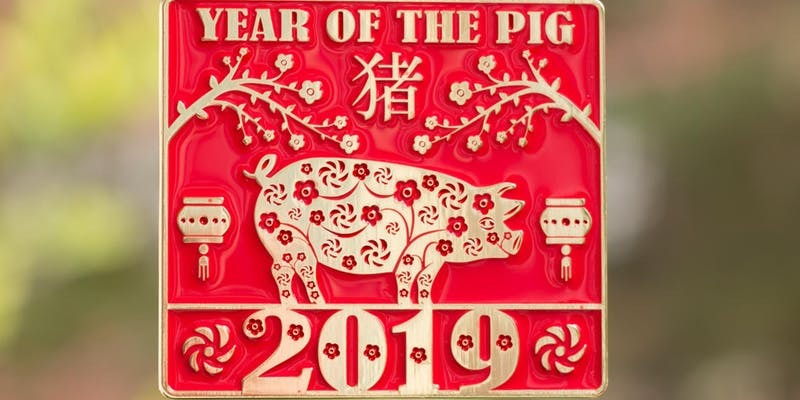 Did you know that 2019 is The Year of the Pig? The Chinese New Year in 2019 is on February 5th! When: Complete your race any time between January 1 and February 5, 2019! Where: You choose the course and you time yourself (you’ll report your finishing time to us). You decide whether to do 2.019 miles, 20.19 miles or 201.9 miles! Why: To raise awareness for Parkinson’s Research and celebrate the year of the PIG! COST: $20, which includes your medal, bib and shipping. Plus, at least 15% of every entry will be donated to the Michael J. Fox Foundation for Parkinson’s Research. *We are in no way affiliated with this charity, we like to choose a different charity for each of our races and are happy to raise funds for them.